If you are looking for digital camera instructions for a specific digital camera, try a search using your specific camera model as a search term in Google, Yahoo or Bing. This page is about general camera instructions covering the three most popular camera types. You can take terrific pictures using any type of digital camera, provided that it is working properly. The key is to learn how your camera works. Camera phones, point and shoot cameras and DSLR (digital single lens reflex) all work in the same basic way. All digital cameras have a shutter which opens and closes. They all have a lens to focus the light on their sensors. They all have memory to store the data. Some cameras have built in memory. It is much better to have a camera with a removable memory card. This will give you the option of adding memory or changing your memory card if your first memory card gets full. Point and Shoot Camera. 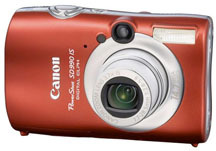 The point and shoot camera is the most popular digital camera used today to take digital photos. Most models have a zoom lens and have several different shooting modes to fit most picture taking situations. To learn what each mode is and when it should be used, read your digital camera instructions carefully. Have your camera in front of you, so you can try each camera setting as you read. Getting a good understanding of Digital Camera Settings in depth will help you take advantage of all that your new digital camera has to offer. Camera Phone This is the most convenient digital camera to use because it's small, easy to carry and just about everyone keeps it with themselves at all times. There is a myth that says you need an expensive camera to take great photographs. Not true. If you gave Tiger Woods a really cheap set of golf clubs, I imagine that he would still be able to make some pretty good golf shots. If you gave me the best golf clubs in the world, I would not be able to golf well at all. I haven't been taught and I haven't practiced. The same is true with digital photography. 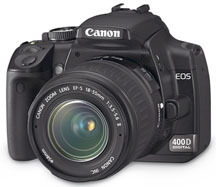 The digital SLR The digital single lens reflex cameras are the most expensive and have the most features. These cameras have very large sensors, capable of tremendous quality. Most of them have interchangeable lenses.They also let you shoot in raw mode. This means that the camera software will not "process" the information. You can download the raw data onto your computer and use specific software to completely control the processing. 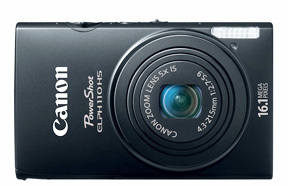 I am a Canon Camera shooter and have purchased a Canon point and Shoot and 3 DSLRs. I used the software that came with the cameras when I was just learning digital photography. I now use a program called Adobe Photoshop Lightroom which is just amazing at processing large "batches" of photos with a large number of photo editing controls available. Reading my digital camera instructions is always a painful process for me. Whenever I buy a new digital camera, I am excited to play with it and try out it's features. The last thing I want to do is read the camera instructions. You may feel the same way, but force yourself to do it and you'll be able to take advantage of all that your digital camera has to offer. It will help you take better digital photos. Memory Card Reviews This article discussed the different kinds of memory cards, ratings and what's important to know. Digital Camera Definitions. Another good idea for you to learn about cameras is to check out the photography words and terms associated with cameras. You can photography definitions in this Glossary. Full Frame Sensor? Another consideration is digital camera sensor size. What size do you need? Do you need a full frame sensor? CCD vs. CMOS. What are the two kinds of digital camera sensors and which one is better when making your camera choice? Camera Buffer. When choosing a camera, another important thing to consider is the camera buffer. This will effect how many photos you can take in quick succession as well as how fast you can take them. More insight on this here. If you want help on choosing a camera to buy go here: Camera Review Sites. With all of this said about digital camera instructions, the three areas of digital photography to concentrate on are lighting, composition and exposure. These 3 topics are covered in the article titled: Take Better Digital Pictures. That is a brief introduction to digital camera instructions. Get more photo tips throughout this site or go to another site: Digital SLR Guide. It has many in depth articles on DSLR cameras, comparisons, and where to buy. Clicking the link will open a new window.